Internet running slowly? Need to get through those power outages without dropping connection? 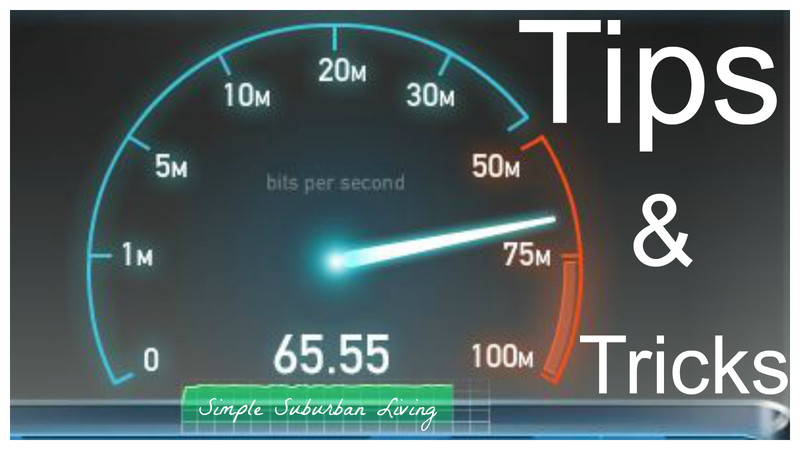 In this tutorial I will share few ways to speed up your home internet service, protect from power outages, and even save some money on your bill in some cases. These tips and tricks are gong to apply to those with cable or DSL type internet service mostly but some other types will benefit as well so stay tuned to see what applies to you. The first tip is in regards to hooking up a cable or DSL modem and I will break it down separately for each. Cable modems - When hooking up a cable modem you should always hookup to the first spilt of the coax cable as soon as it enters your home. In most cases your cable comes in the basement or crawl space and then splits with one or two large splitters to all of your cable jacks in the home. Instead, purchase one good 2 way splitter and install that as soon as the cable enters the home. One leg will go directly to your modem and the other can go to the larger splitters that feed the TV's. DSL modems - DSL service is provided via phone lines. As with cable it is important to have a dedicated phone jack or line run directly from the outside junction box to your DSL modem. This might require a call to your provider for a free setup but in most cases just follow the lines to make sure it goes directly out to your outside phone connection. With DSL it is also important to make sure you have filters on any phones in your home. These filters are provided by your service provider in most cases or they can be purchased online - http://amzn.to/1PA8Duj. Purchasing VS. Renting - No matter what kind of internet provider you have in most cases they will provide a modem to you when you sign up for service. But don't be surprised if they are charging you anywhere from $3-$15 per month for that equipment. You can pickup a cable or DSL modem online or at Best Buy/Walmart for less than $60 in many cases. This saves you the monthly fee and also allows you to have newer better equipment. Check with your provider for recommendations on a new modem for the best possible service to your area. Wireless Interference - A properly placed wireless router can be the difference between blazing fast and slow as molasses. The best place for a wireless router is UP HIGH, the higher the better in most cases. You also need to think about what is near the router, cordless phones, microwaves, Christmas lights, TV equipment, speakers, etc. All of these things can dramatically interfere with your wireless signal and slow you down. The orientation of the router is also important. If it is designed to lay down flat, lay it down flat. If it has as stand or legs to stand it up vertically try standing it up. You can also change the orientation and see if signal improves in certain areas as you change it. Above all else it is important to start with a good wireless router. I have a few options below this article of models that I have found to be good. Make sure you have a dual band N or a newer AC standard wireless router and place it in a central location in your home, on the middle level if you have a 2 or 3 story home will be best.